East Rutherford, N.J. (AP) — Rob Gronkowski of the New England Patriots has all the incentives to become the NFL’s highest paid tight end. Agent Drew Rosenhaus said Thursday the Patriots have added $4.3 million in incentives to Gronkowski’s contract for the next two seasons. The deal includes $1 million in per game bonuses and $3.3 million in incentives for catches, playing time and touchdowns. Gronkowski has the potential to make $12.3 million this season and $13.3 next year when his base salary jumps to $9 million. If he hits all the incentives, Gronkowski would be the NFL’s highest paid tight end. He is fourth among tight ends in base salary, trailing Green Bay’s Jimmy Graham ($10 million), Kansas City’s Travis Kelce ($9.36 million) and Washington’s Jordan Reed ($9.35 million). Most of the incentives are reachable if the 29-year-old says healthy. Gronkowski’s deal was first reported by ESPN. 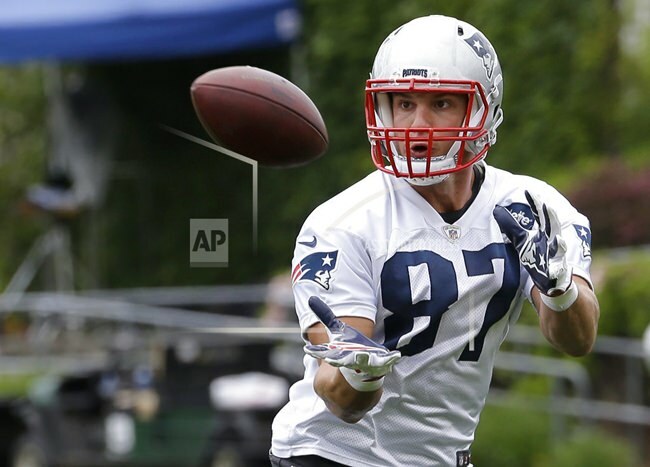 Gronkowski has not caught a pass in limited action in the preseason. He warmed up with the Patriots before Thursday night’s preseason finale against the Giants, but he was not expected to play.